‘StarCraft Ghost’ still in development? Maybe! My subscription to the Official Xbox Magazine was one of those things that I really loved about the mid-2000’s. I particularly remember a cover story they did on the then-in-development StarCraft Ghost. 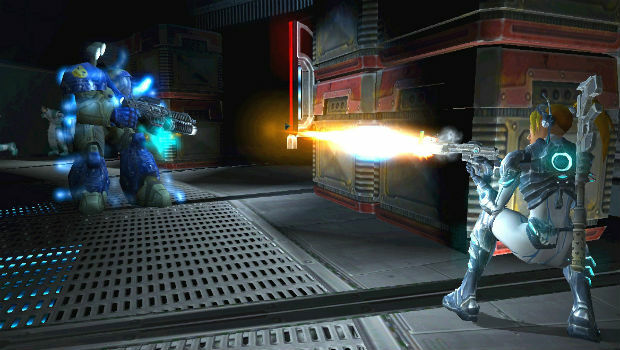 Originally supposed to come out back in 2004, the promising stealth-action title has long thought to have been cancelled. But was it? In a recent exchange with OPM UK, the magazine asked Blizzard developer Matthew Burger about the project. In his words, the game is “on hold,” and was “never cancelled.” When asked if the game would ever get a release, yet another elusive answer of “maybe” was given. Strong words! While I’d love to see a StarCraft game that isn’t an RTS, I don’t know if Ghost’s time is now. The game has simply been “in development” for far too long. When was the last time a game took ten years to make and it was good? I’d rather see Blizzard do a PlanetSide 2 type game set in the StarCraft universe that allows folks to wage real-time war in first person. What do you guys think? Is StarCraft Ghost past its prime, or are you ready to gear up as Nova?